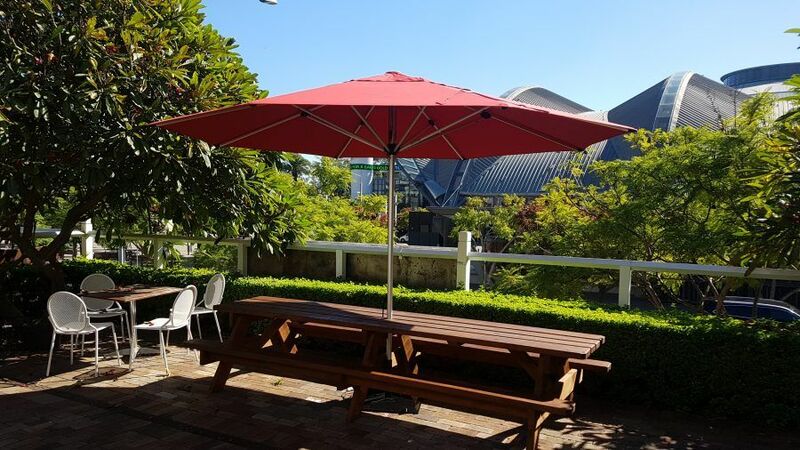 For a robust commercial-grade market or café umbrellas in Sydney, choose the SU2 Market & Café Umbrella by Ashadya Shade Sails & Blinds. 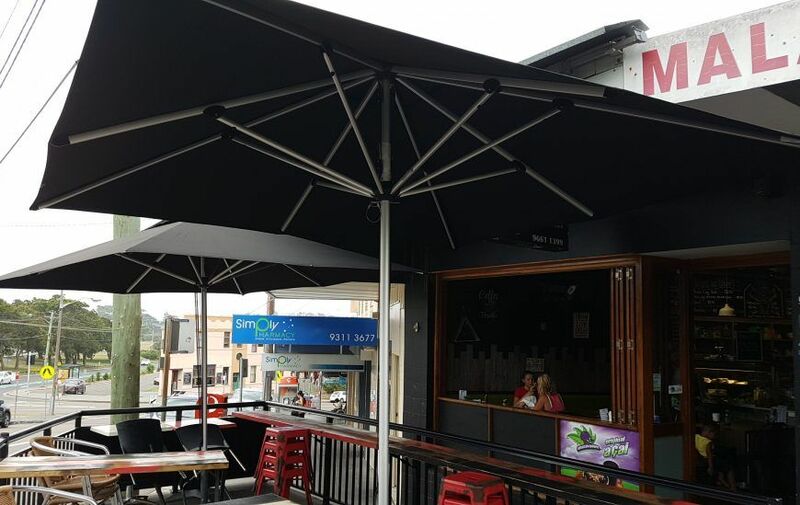 The SU2 Market & Café Umbrella is a heavy-duty café style umbrella that is ideal for use in cafés, restaurants and market stalls. 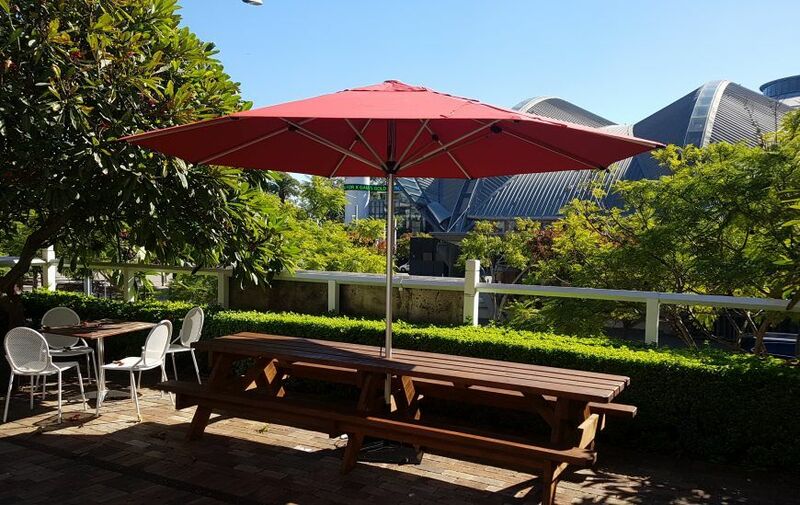 What sets our SU2 Market & Café Umbrellas apart from other market and café umbrellas in the marketplace that the SU2 has a solution dyed canopy, meaning the actual fabric strand is dyed before it is woven. This helps reduce fading of the material and means your umbrella will stay new looking a lot longer than other umbrellas. 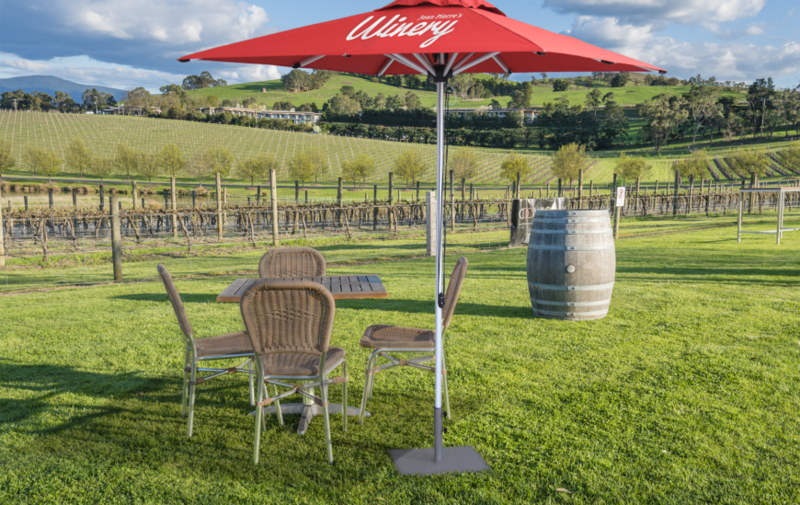 As with all our umbrellas, the SU2 Market & Café Umbrella uses premium solution-dyed fabrics that are suited for commercial applications, such as providing shade for cafés and restaurants. 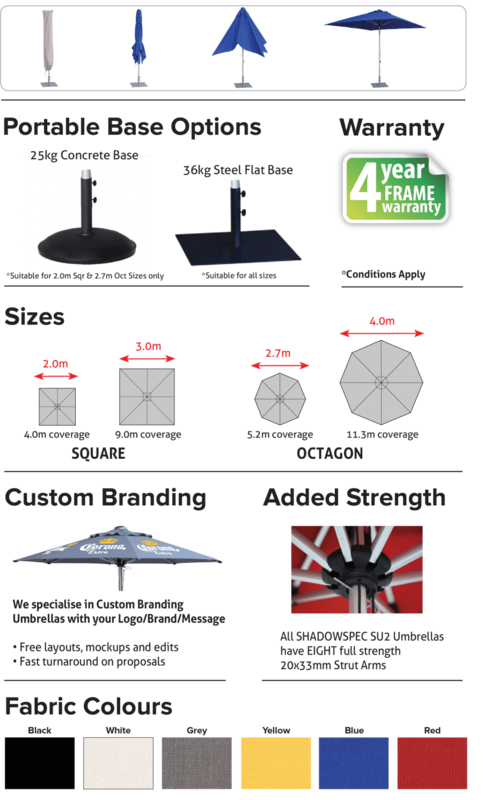 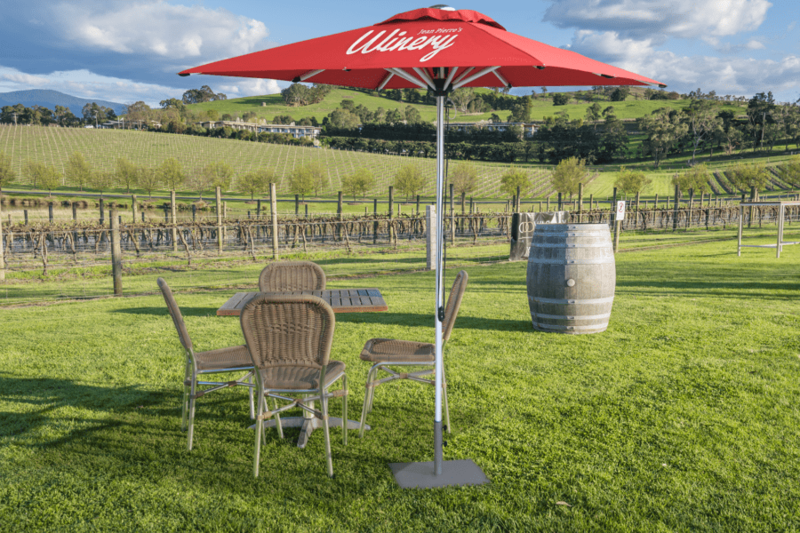 The SU2 Market & Café Umbrella is a high-quality product that is unmatched in terms of style, quality, and affordability. 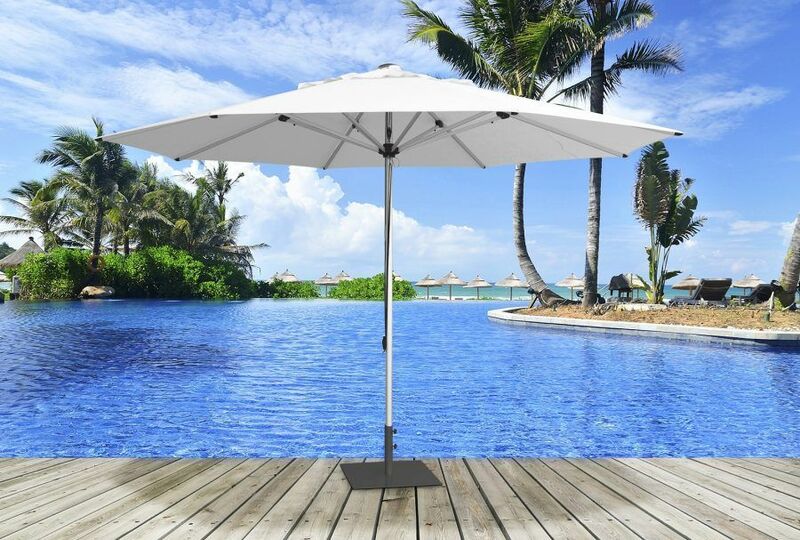 Ashadya will deliver perfectly engineered outdoor umbrellas that look great, function perfectly and last many years. 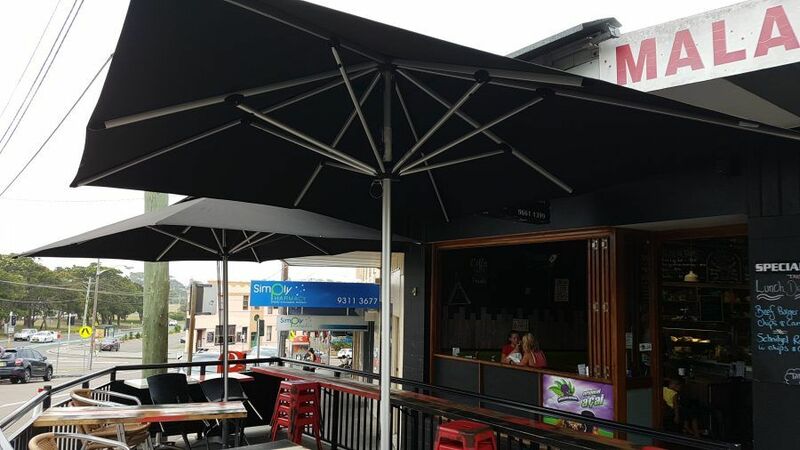 If you are looking for outdoor café or market umbrellas in Sydney that offers value for money, enhance the beauty of your café or restaurant and offer excellent protection from all weather conditions, Ashadya has the solution. 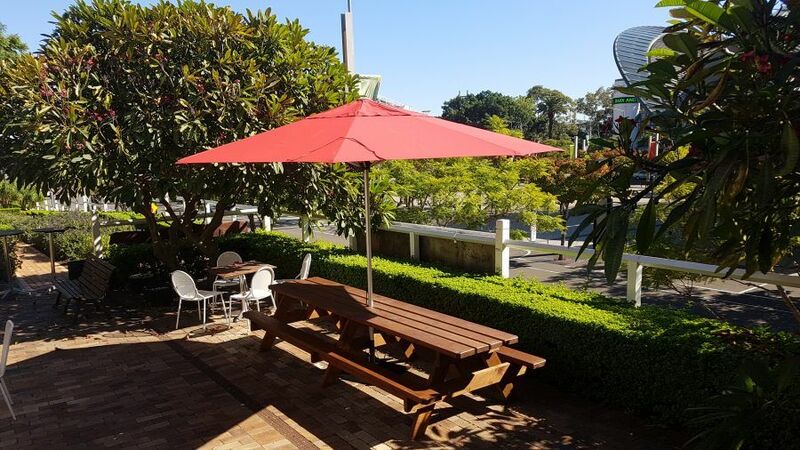 Call our friendly team on 1300 570 901 today for more information on the SU2 Market & Café Umbrella.